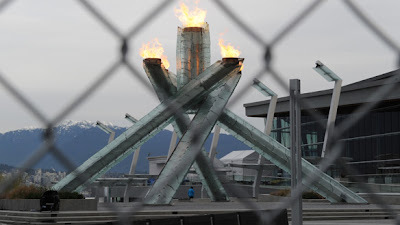 A while ago we went to Vancouver to check out the Olympic festivities. Apparently Olympic pins are all the rage these days and we got some free ones for standing in line for an hour with a bunch of other fools. The entrepreneur that I am, I quickly realized that these pins had more utility to me in money form than in pin form. So once we got home I created some nice auctions on eBay to cash in and make it rain. Just as I expected, they all sold for a nice profit and positive eBay feedback was coming in faster than you can say, "Olympic pin collecting is for losers." That is, until eBay user Pincentral sent me this message, "I received the pin today but I am a bit disappointed. I paid $2.99 for shipping and there was $0.16 due." Fair enough. I can't really help that the Post Office's scale isn't calibrated correctly and didn't charge me enough on the postage, but I wanted to keep my 100% eBay feedback so I apologized and sent $0.16 through Paypal to Pincentral. I thought we were all squared away until I found another note from Pincentral the next day in my inbox, "You sent me the $0.16 but Paypal charged me $0.16 [in fees]. You should have sent it by personal [check]. Now I am still out the money." I just got this Banana Republic ad in the mail. 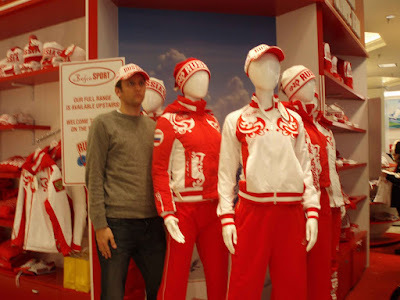 Apparently these outfits would be perfect to wear while meandering around your local flea market. 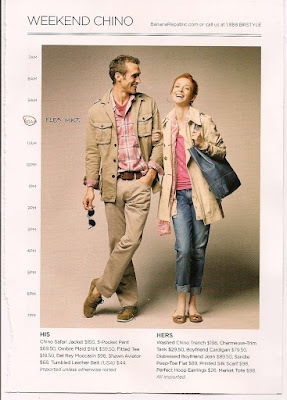 Because nothing says flea market attire like $1216 of clothing from Banana Republic. Sometimes you just need to sit back and have a good laugh. And remember that karma is real. *My favorite part is the little black dog that runs back and forth. 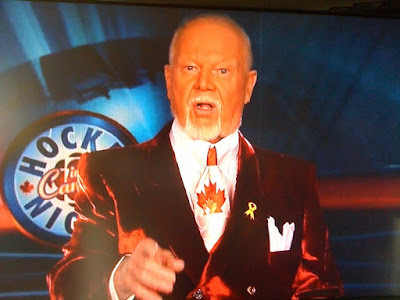 Well, just like that, the Winter Olympics are over before you can say, "tape delay." 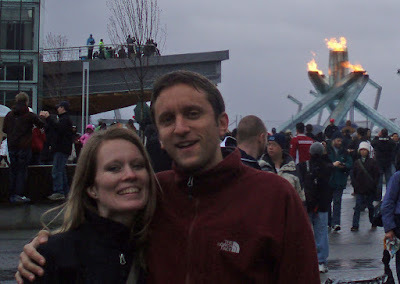 Here are some of my favorite highlights of Vancouver 2010. ...I don't need to learn anymore. I really enjoyed the men's figure skating trash talk. 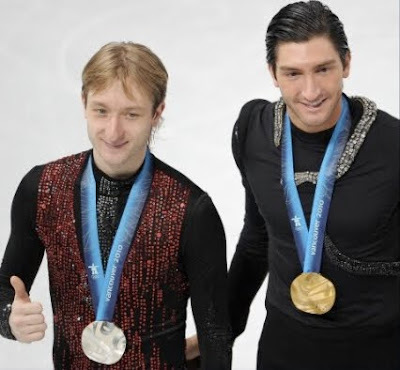 The silver medalist from Russia said that the gold medalist from the U.S. wasn't a true champion because he didn't do a quadruple jump in his routine. So a male figure skater is taunting his rival by saying he isn't manly enough. Classic. "I don't care what the judges say--my outfit is prettier than yours." ...from behind a chain link fence. Real classy. And your official gift shop downtown was very overpriced but I did enjoy meeting the Russians. 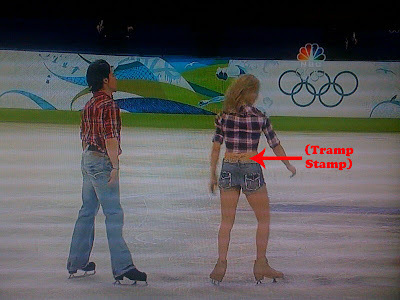 The story about the Olympics beating American Idol in the ratings was funny, too. Let me get this straight NBC: the Olympics--which occur only once every four years--beat a show that is on four times a week every season and you think this is a noteworthy feat??? Nice work. Obviously it was your strategy to show everything by tape delay hours after it happened. 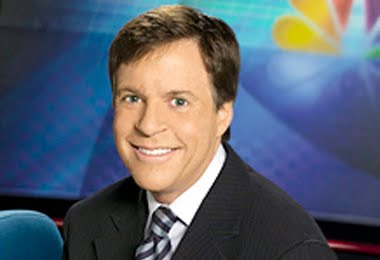 Bob Costas, I was reminded once again that you are a very small, small man. 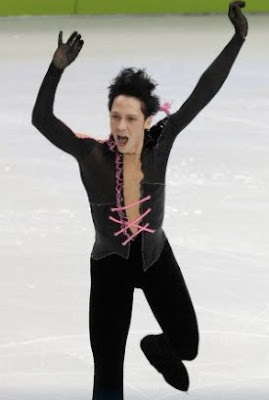 Johnny Weir, I'm all about cheering for Team USA but you are one weird dude. 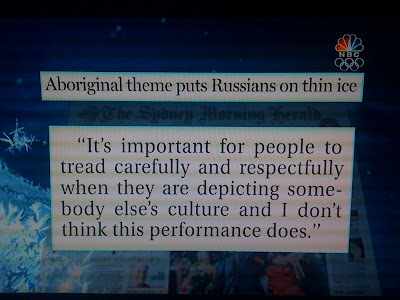 Then I read about this ice dancer, Allison Reed, representing Georgia (the COUNTRY!!!) who is actually from Kalamazoo, Michigan. I learned from NBC that she's never been there but she knows a few words of the language, that the capital is Tbilisi, and that she got her Georgian citizenship last month just in time to compete here. And "since the Olympics started, she has felt closer to that country than she ever thought she would." I'm not sure what that means but somehow I don't think this is what representing your country before the world in international competition is all about. "Allison, свою очередь, сдм!" "What, I just stabbed your thigh with my skate??? I don't understand! Speak slower!" 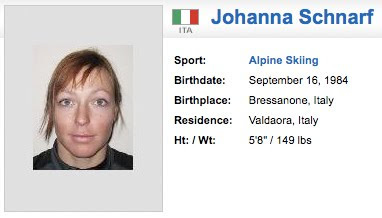 Now meet Johanna Schnarf. 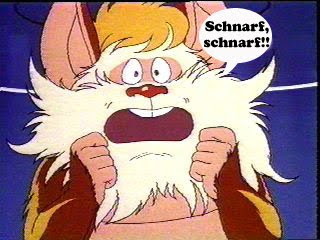 She might not have won any medals, but if you're a Thundercats fan, she has the coolest name EVER. 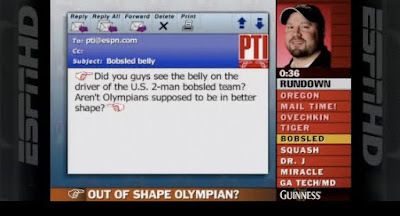 PTI alerted me to the athletic shape of one of the U.S. bobsledders, Steve Holcomb, who actually won a gold medal. This is the kind of "athlete" that makes me realize I could be in the next Olympics if I actually stopped exercising and ate more junkfood. Now that's what America is all about. U-S-A, U-S-A!!! Steve, did Southwest charge you for two seats on the way up to Vancouver?